n this course you will learn how to combine two amazing free programs to create smooth and flexible 2D game character animations! Inkscape is a free and open-source Vector Illustration software. With it you can create versatile, ready to use character designs in no time! Draw anything, export in any size - Perfect for 2D game design! There are several great courses published about Inkscape, but in this one you can learn how to create a character and make it ready to animate! DragonBones is a free 2D Skeletal Animation program. Import your character parts, create the bone system and animate! It is really this easy! The standalone version just came out at the end of 2016, so this is the first full and comprehensive English course about DragonBones! There are only a very few DragonBones tutorial online, if you want to learn the software, this is a good place to start! easily modify your character to a totally new version, while keeping all the animations! The course is mostly about DragonBones, so you will need some basic Inkscape knowledge to follow the design part at the start! Follow the course and ask me anything as you develop your animations! Design the knight character in Inkscape - Part 1. 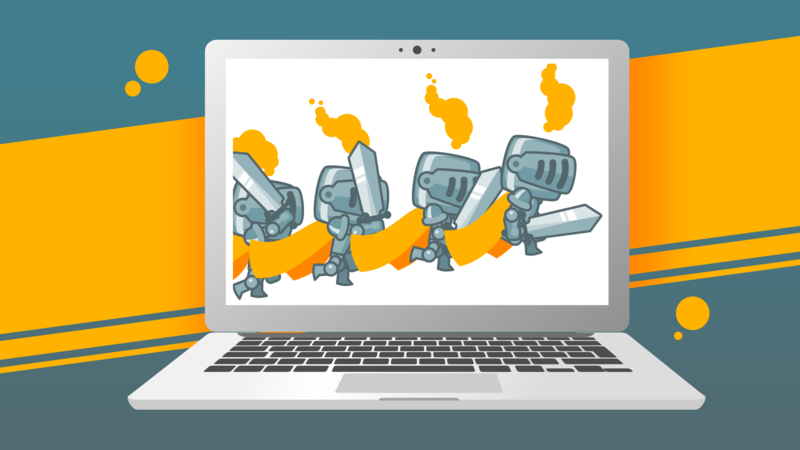 Design the knight character in Inkscape - Part 2. Animate your game character in DragonBones! Character walk cycle in DragonBones - Part 1: the first steps! Character walk cycle in DragonBones - Part 2: Move your arms! Attack! - Attack move animation Part 1. Attack! - Attack move animation Part 2.